Tripoli (AFP) - The Islamic State group claimed responsibility Tuesday for a suicide attack a day earlier against the headquarters of Libya's National Oil Corporation which killed two employees, according to a US-based monitor. 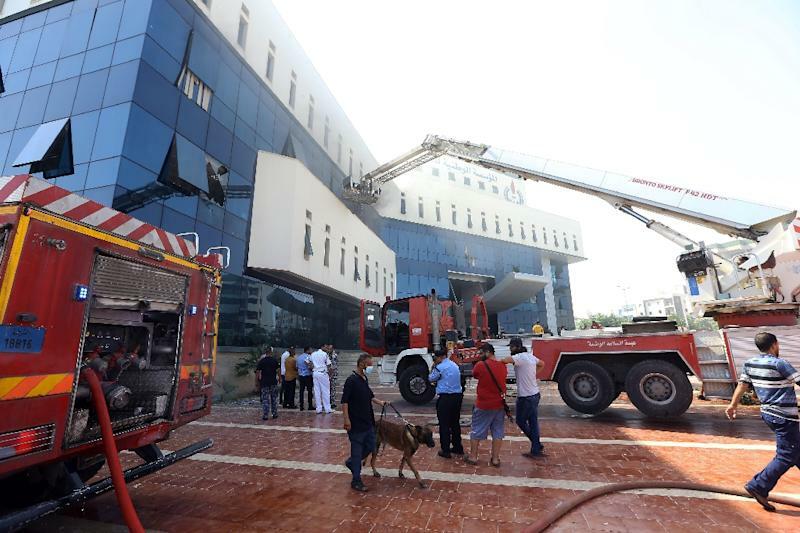 Three attackers died in the assault on the NOC's offices in the Libyan capital Tripoli, IS said in a statement published by the SITE Intelligence Group which tracks extremists. IS said it hit the "economic interests of the pro-Crusader governments of the tyrants of Libya", describing the oil company as a legitimate target which funds "the war on the mujahedeen (holy warriors)". Libyan security services said Monday the remains of two suicide bombers were found inside the NOC building. Two staff were killed and 10 others wounded in the assault, which was denounced by the United Nations mission in Libya as a "cowardly terrorist attack". It was the latest attack on Libya's vital oil sector, which provides 95 percent of state revenues. The assault came four months after the headquarters of the country's electoral commission in Tripoli was hit by suicide bombers, killing 14 people and claimed by IS. The jihadists group gained ground in Libya during the chaos following the ousting of dictator Moamer Kadhafi in 2011. Despite being driven in December 2016 from their main fiefdom of Sirte, east of Tripoli, IS continues to carry out deadly attacks. It remains active in the centre and south of the country, while "sleeper cells" are present in northern Libya according to analysts.